BrahMos missiles were co-developed by Russia's NPO Mashinostroeyenia and India's DRDO. 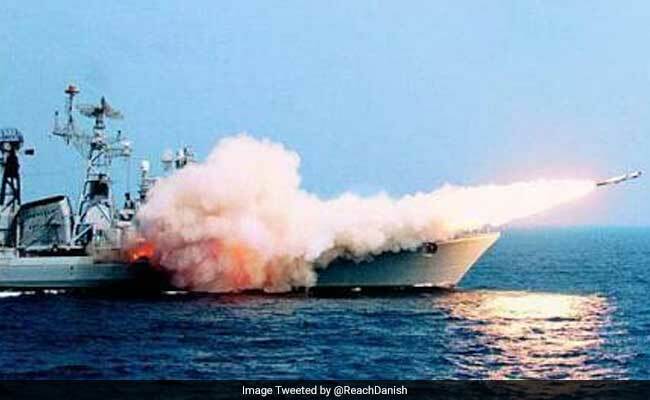 For the first time ever, the government of Vietnam today confirmed - albeit carefully - that it has acquired BrahMos anti-ship cruise missiles from India. At a time when Delhi and China are locked in their worst military confrontation in decades, sources in the Defence Ministry denied selling the missile systems to Vietnam, though they did not want to comment on record. The acquisition of the BrahMos will be seen by China as a defiant move by Vietnam to protect its claim to the disputed South China Sea, which Beijing claims entirely as its own. Vietnamese Foreign Ministry spokesperson Le Thi Thu Hang, when asked a specific question on the acquisition of the BrahMos said earlier today, "The procurement of defence equipment by Vietnam is consistent with the policy of peace and self-defence and is the normal practice in national defence." She added that the Vietnam-India Comprehensive Strategic Partnership which includes co-operation in defence has "been making a practical contribution to peace, stability, cooperation and development in the region." India's BrahMos missiles are considered one of the most advanced missiles of its type. 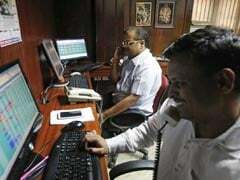 The Vietnamese government statement was widely interpreted by local media as confirmation that the BrahMos missile deal, discussed for years, has climaxed. Senior Vietnamese journalists indicated to NDTV that the first batch of missiles may have arrived a few days ago. 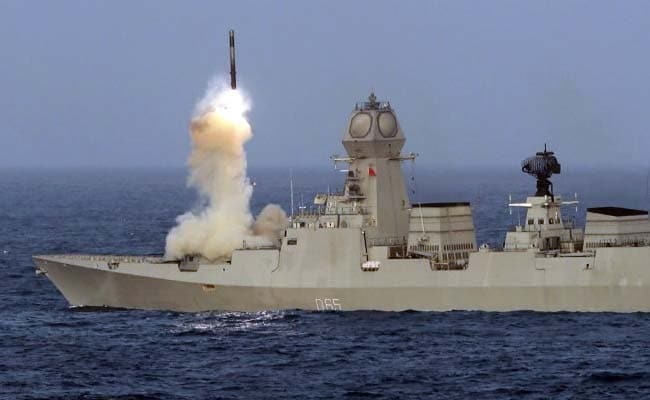 Co-developed by a Russian manufacturer and India's Defence Research and Development Organisation, the BrahMos can accelerate to speeds of 2.8 times the speed of sound to strike enemy ships 300 km away. In the final phase of its flight, the missile undertakes a series of extreme manoeuvers to avoid interception by surface-to-air missiles which may be fired to prevent it from hitting its target. The Indian Army has also acquired a land-attack variant of the missile featuring a dive attack capability to enable the BrahMos to strike targets in mountainous areas with pinpoint accuracy. BrahMos missiles can undertake a series of extreme manoeuvres to avoid interception. 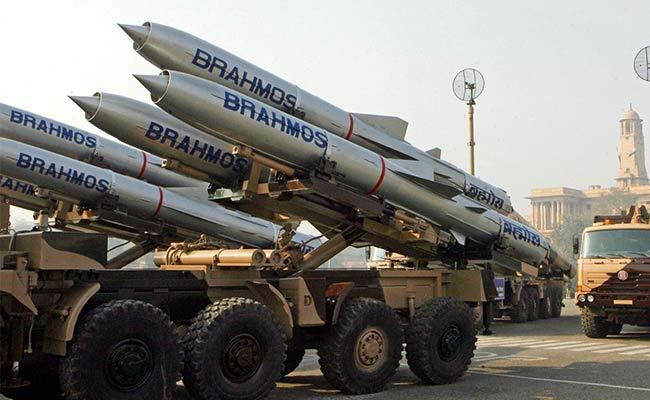 In April this year, the Chinese People's Liberation Army Daily said, "The deployment of BrahMos missile is bound to increase the competition and antagonism in the China-India relations and will have a negative impact on the stability of the region." The armies of both countries are in the midst of a lengthy standoff on the Doklam plateau, located over the Sikkim border. China says the region belongs to it; India and Bhutan agree it's part of the tiny Himalayan kingdom. In June, Indian soldiers crossed over to stop the Chinese army from building a road that would give it strategic access to the "Chicken's Neck" - the narrow sliver of land that connects the Northeast states with the rest of India. Vietnam has deep concerns at Beijing's rapid conversion of shoals and tiny islands into full-fledged military bases with runways for use by military aircraft. Several countries in the region in addition to the US, Japan and India have repeatedly said China should not in any way threaten or impede the free movement of shipping in what are international waterways. In 1979, both countries fought a brief but bloody war in which there were thousands of casualties with China being unable to prevent Vietnam's involvement in neighbouring Cambodia. India and Vietnam enjoy a very close military partnership. India has trained Vietnamese sailors in Visakhapatnam to operate Russian built 'Kilo'-Class submarines which are operated by the Navies of both countries and has supplied patrol vessels. India has also been training Vietnamese soldiers at the School of Counter-Insurgency and Jungle Warfare in Vairengte in Mizoram.